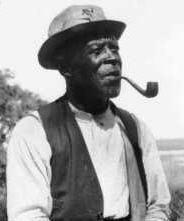 From 1936 to 1938, over 2,300 former slaves from across the American South were interviewed by writers and journalists under the aegis of the Works Progress Administration. 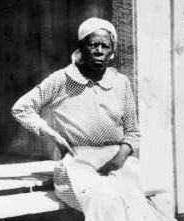 These former slaves, most born in the last years of the slave regime or during the Civil War, provided first-hand accounts of their experiences on plantations, in cities, and on small farms. Their narratives remain a peerless resource for understanding the lives of America's four million slaves. What makes the WPA narratives so rich is that they capture the very voices of American slavery, revealing the texture of life as it was experienced and remembered. Each narrative taken alone offers a fragmentary, microcosmic representation of slave life. Read together, they offer a sweeping composite view of slavery in North America, allowing us to explore some of the most compelling themes of nineteenth-century slavery, including labor, resistance and flight, family life, relations with masters, and religious belief. This web site provides an opportunity to read a sample of these narratives, and to see some of the photographs taken at the time of the interviews. The entire collection of narratives can be found in George P. Rawick, ed., The American Slave: A Composite Autobiography (Westport, Conn.: Greenwood Press, 1972-79). American Studies Hypertexts at the University of Virginia This page was begun as part of the American Hypertext Workshop at the University of Virginia, Summer 1996.